Help parents in your community to "think teeth"
Research and public opinion surveys remind us that oral health literacy is alarmingly low in America. A recent article in the American Journal of Public Health found that many low-income parents in Maryland did not know how to advise their kids to brush their teeth, were confused about what causes tooth decay, and uninformed about the importance of fluoride. Moreover, CDHP's recent survey showed that 42% of women do not know that it’s safe to receive dental care during pregnancy. In other words, we have a big challenge on our hands. 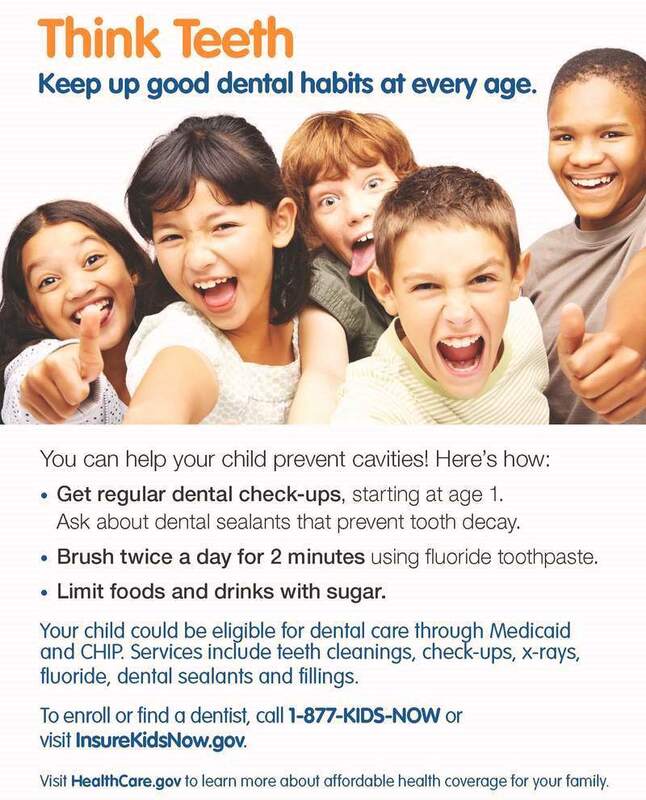 Fortunately, the Centers for Medicare & Medicaid Services (CMS) has created materials that can help oral health practitioners and advocates share facts that will help empower parents. The Children’s Dental Health Project is proud to have worked with Mathematica Policy Research to offer recommendations to CMS on the redesign of its Think Teeth oral health web page, where a variety of excellent fact sheets and handouts are available. CDHP recognizes that oral health education is a team sport. Our efforts to promote Think Teeth content have been supported and leveraged by many stakeholders. These allies helped us in two primary ways. First, the recommendations we gave CMS for redesigning the Think Teeth page were shaped significantly by comments we received from a number of stakeholders whom we interviewed. These stakeholders included dentists, dental hygienists, patient navigators, and children’s advocates. They reviewed the Think Teeth content and offered good feedback as to how the web page was organized and how each item was described. We appreciated their insights. One interviewee who examined the Think Teeth materials said, "These materials are very, very useful because when I go to a community health fair, I need some materials I can distribute that don't have too much text on them." Oral health education is a team sport. Second, many organizations co-hosted or participated in social media events in which Think Teeth materials were promoted. From Salud Today to the Men’s Health Network, diverse organizations have partnered with us in recent months to shine a light on oral health and its importance to overall health. We've co-sponsored several social media events, including observances of Minority Health Month, Think Teeth Thursday and Men’s Health Month (#teethmatter2dads). Altogether, these social media activities generated more than 10.3 million Twitter impressions. So please join us in continuing to tweet and share resources that parents can use to put their kids on the path to good oral health.